urges that United States hardwoods and products derived from United States hardwoods should be given full consideration in any program directed at constructing environmentally preferable commercial, public, or private buildings. 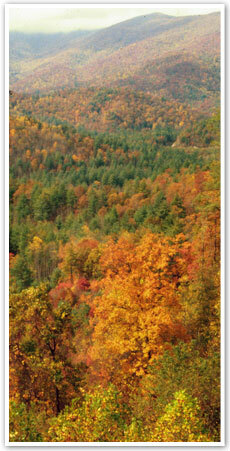 U.S. hardwood forests cover 279 million acres: the equivalent of hardwood trees covering every square inch of New York, Pennsylvania, Ohio, Illinois, Indiana, West Virginia, Virginia, North Carolina, South Carolina and Georgia. 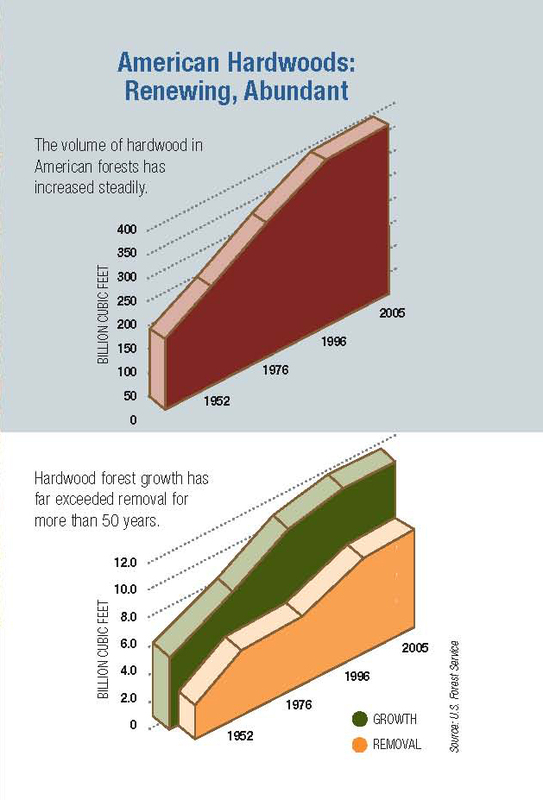 They reproduce naturally and prolifically and in fact over the past 50 years the volume of hardwood in American forests has nearly doubled. It’s a resource that is neither scarce nor finite: There is 10.2 billion cubic feet annual growth, with an annual harvest of only 6 billion cubic feet. In American hardwood forestry, the predominant harvesting method is single-tree selection. By carefully removing individual trees, openings in the forest canopy are created so that more precipitation, sunlight and nutrients reach the forest floor. A trained forester follows professional best practices that includes individually selecting trees for harvesting and removing the trees with the least disruption to the forest floor. They follow professional best practices that mirror natural forces. This responsible forest management takes into consideration long-term timber production, while also addressing water quality, wildlife habitat, biodiversity, forest aesthetics and recreational opportunities. The bottom line is this: North American hardwoods are renewable, abundant and a natural choice for environmentally sound design, manufacturing and building.